"Let’s Sew!! 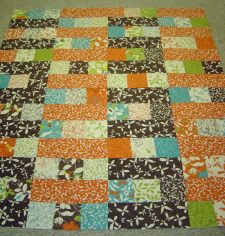 I love it when I can put together a quilt top in an afternoon! 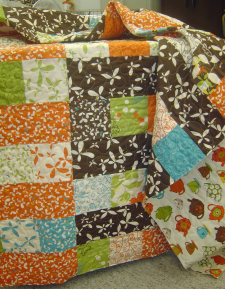 My trick~ using pre-cut charm squares in half of the quilt and keeping the rest of the design very simple. The only cutting you need to do is for the rectangles and they’re big besides! So, head to your stash (or your favorite quilt store) and find some charm packs that you have laying around. 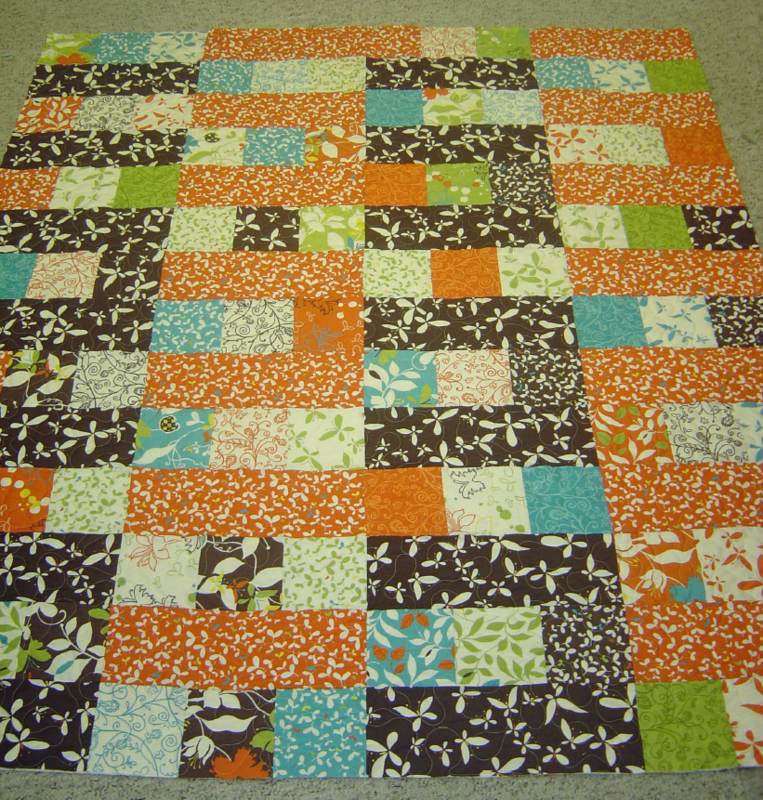 Then, add 3/4 of a yard of two other fabrics and get ready to sew!! 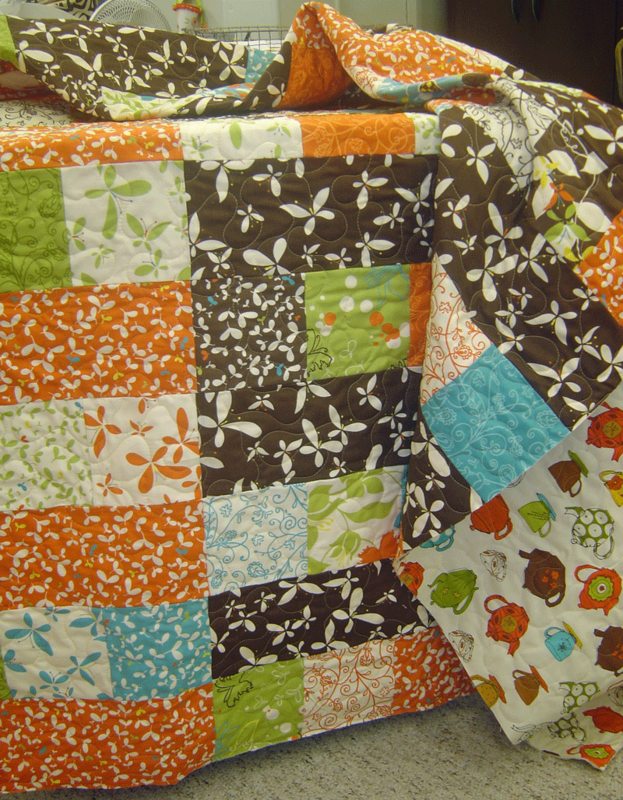 "In my quilt I featured the new Moda Fabric line Chrysalis. Then, for a funky twist I decided to put a Robert Kaufman fabric on the back! I love it- totally unexpected. PS. the binding will be added as soon as I post this pattern. I just couldn’t wait to share it with all of you!"